A House of Commons select committee has said that government reforms to the probate fee system might not be within the scope of existing law and has referred the proposals back to parliament. Earlier this year, the Ministry of Justice proposed abolishing the existing £215 flat fee for probate applications and called for the introduction of a banded structure on the value of an estate. The new system would mean a £500,000 estate would incur a probate fee of £4,000. But a report by the Joint Committee on Statutory Instruments, which scrutinises statutory instruments laid before parliament, says the reforms to the probate fee system should be referred back to parliament amid concerns the changes might not be intra vires – that is, within the powers of the legislation. The report says that the existing flat-fee structure recoups the full costs of running the Probate Registry – approximately £45m a year – but the new system would recoup £300m to help fund other areas of HM Courts and Tribunal Service. Some legal experts have argued that the changes would amount to a tax on probate and would have an unfair impact on charities that are beneficiaries of an estate. The Institute of Legacy Management estimates the cost to the sector could be £18m a year. The committee says in its report that it asked the Ministry of Justice a number of questions to determine whether the changes would in effect be a tax on estates, rather than increased probate fees. It says the MoJ’s response was that the Lord Chancellor is able to set fees above cost-recovery levels and subsidise other parts of the legal system. The response said this was contained within section 180 of the Anti-social Behaviour, Crime and Policing Act 2014. 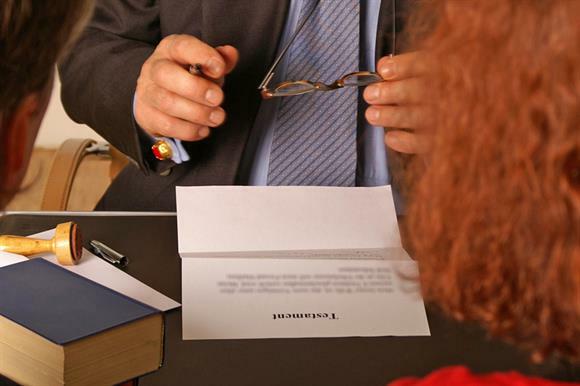 But the report says there is "real doubt" that probate fees can be used in this way, and probate fees are there to support an administrative process similar to other life events, such as registering a birth or marriage, rather than a commencement of legal proceedings. The report says that the debate in parliament about the 2014 act only briefly covered section 180, and it found no evidence the government explained that section 180 would be used in the way it now proposes. The report says: "The emphasis in the debates was on how any proposed enhanced court fees might affect the costs of litigation. Nothing, however, appears to have been said about probate fees – which, of course, are not a cost of litigation." The committee therefore concluded that the changes would "make an unexpected use of the power conferred by section 180" and referred it to both houses of parliament. The Ministry of Justice did not supply a comment before Third Sector’s deadline of 12.30pm.